The city of Fresno, situated in the San Joaquin Valley, is well known as being a base for Yosemite National Park, and for its close proximity to numerous California colleges. The agricultural industry provides employment for a considerable portion of Fresno’s residents, and brings roughly $3 billion in revenue to the community annually. Agricultural helicopter services include crop dusting, livestock and plant surveys, property and field management, and heavy lifting and freight services. But we don’t stop at agriculture. 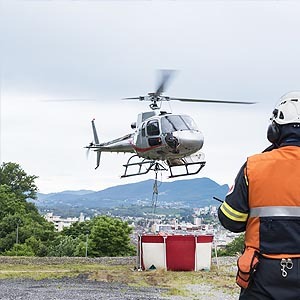 Our trusted helicopter pilots have experience with power line work, heli-logging operations, and large freight transport. No matter your need, we have a helicopter solution. 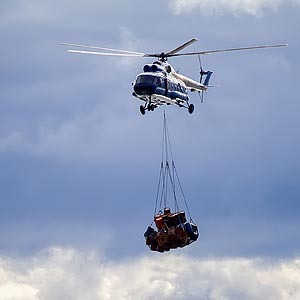 FairLifts is a full-service provider of heavy lift helicopter services. From HVAC and adapter curve replacement to utility transmission line construction and repair, there is no helicopter lift job that FairLifts can't manage. We excel at planning the logistics of long line external-load projects and we offer fast, free quotes on any job. 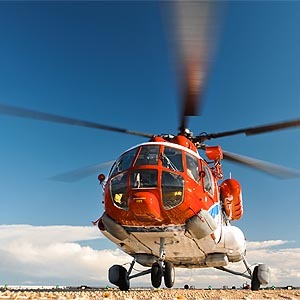 We not only strive to serve the residents of Fresno, but also wish to establish ourselves as a global leader in arranging the safest, most effective, accurate and timely helicopter lift solutions anywhere. We at FairLifts have established first-hand relationships with hundreds of helicopter lift operators around the world. 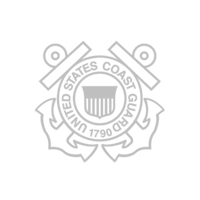 These affiliations ensure that we operate at the highest degree of efficiency and safety with every mission. We work within a number of industries widely ranging from construction to medical services. Our staff is well-versed in facilitating a multitude of services, including, but not limited to freight transport, pipeline installation, heavy object lifts, and heli-logging. Regardless of the industry or location, FairLifts can provide a personalized experience in the most timely and professional manner. How helicopters can serve the needs of the Fresno community. versatility is our middle name. Capable of conveying large equipment, rooftop installations and power-line or utility maintenance. Our heavy lift helicopters were designed to safely perform aircraft recovery, engineering, or construction assemblage. Fresno’s agricultural industry is a thriving community. Because of this, FairLifts can ensure that we will satisfy virtually any of your aerial, agricultural needs! Our trusted pilots specialize in frost control, spraying, dry spreading, environmental surveying, and heli-logging operations. The shipment of dangerous goods requires specific skill-sets and knowledge of all classes and shipping guidelines. Our partners are fully qualified and licensed to transport sensitive airfreight ranging from explosive flammables to radioactive materials. FairLifts also provide emergency helicopter services. Whether you need to fight a fire or plan a search and rescue mission, our Eco-friendly helicopter solutions are the best option for you! Let Us do your heavy lifting! The services listed on this site are just a small picture of the multitude of services we can accommodate for our clientele. Between our experienced pilots, expert ground grews, and local operators, we have every angle covered with respect to successfully managing any of your helicopter needs. Getting started is really simple, just call! We will provide accurate answers in regards to any price quotes, service specifics, and reserving your helicopter solutions! Are you needing more information in regards to helicopter services? Call 1-800-318-8940 today!